1. In your testimony you acknowledge that anthropogenic climate change is a real phenomenon with real consequences for the climate. You also condemn “activists, politicians, journalists, corporate and government agency representatives and even scientists” for making claims about climate change being a contributing factor to extreme weather events for which there is not strong evidence. You said that “such claims could undermine the credibility of arguments for action on climate change…” There is nothing in your testimony that similarly condemns “activists, politicians, journalists, corporate and government agency representatives and even scientists” who deny that climate change is happening at all or that there are anthropogenic causes for climate change. Could their claims also be undermining the credibility of arguments for action on climate change? Why or why not? PIELKE RESPONSE: There are at least three reasons why those who “deny that climate change is happening at all or that there are anthropogenic causes for climate change” are largely irrelevant and thus a distraction. First, while there are people who “deny that climate change is happening at all or that there are anthropogenic causes for climate change” most of those who identify themselves as opposed to action on climate change admit the reality of climate change and even a human role, but take issue with its significance in the context of the actions that are often proposed in response. Second, as I document in my book The Climate Fix (2010) public opinion on the reality of climate change, a human role in it and the importance of action has been remarkably strong for many decades. Public opinion varies, often with the weather, but there is nothing unique about public opinion on climate change that would suggest it as an obstacle to action. History shows many important issues with much less public support for which action was taken. Third, those calling for action on climate change often ground their arguments in claims of scientific authority. To the extent that such claims are shown to be overstated or just wrong – as often the case with respect to extreme events – then the resulting loss of credibility will be disproportionately larger than to those who start from a minority position or on the fringes of science. I elaborated on these arguments in a recent essay for The Guardian. 2. You make a second claim regarding the pernicious results of overstated connections between extreme weather events and climate change: that such “false claims confuse those who make decisions related to extreme events, and could lead to poor decision-making.” Please provide an example of where this has happened as well as the resulting consequences. 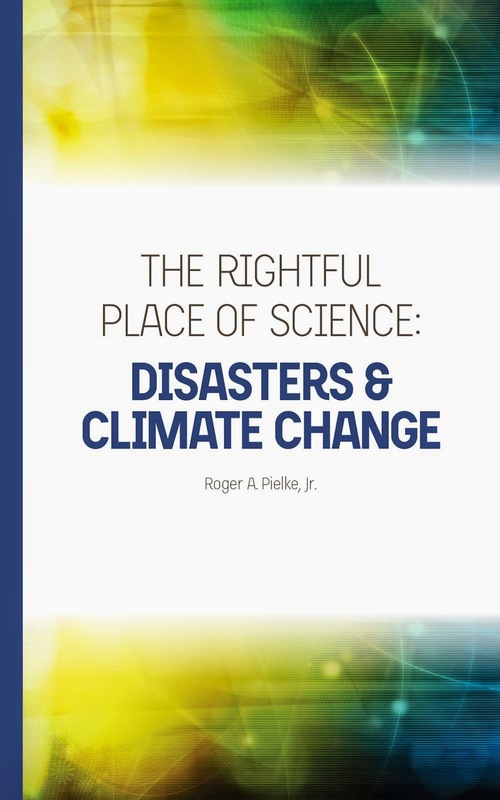 PIELKE RESPONSE: In 2007, Working Group II of the Intergovernmental Panel on Climate Change included a graph in its report which showed an apparent correlation between increasing global temperatures and the global costs of disasters. This graph was included in violation of the IPCC’s guidelines, as it had never appeared in any scientific study. It was created by an IPCC author, an employee of a catastrophe modeling firm called RMS, because he expected that it would show up in a future study. In order to get the graph into the report the author intentionally mis-cited it to a separate non-peer reviewed white paper that he had co-authored (ironically, as a contribution to a workshop that I organized.) However, that graph did not ever appear in that future study and the IPCC author later admitted that its inclusion was a mistake (This episode is detailed in The Climate Fix). In the rush to deploy a new, higher number, they say, the industry skipped the rigors of scientific method. It ignored contradictory evidence and dissent, and created penalties for those who did not do likewise. The industry flouted regulators who called the work biased, the methods ungrounded and the new computer model illegal. Florida homeowners would have paid more even without RMS' new model. Katrina convinced the industry that hurricanes were getting bigger and more frequent. But it was RMS that first put a number to the increased danger and came up with a model to justify it. As a result of RMS' changes, the cost to insure a home in parts of Florida hit world-record levels. It turns out, since RMS issued its forecast of enhanced hurricane activity, the United States has not been struck by a Category 3 or stronger hurricane, marking the longest such stretch going back to at least 1900. The new estimates proved wildly overstated. For its part, RMS today views the science of hurricanes quite differently, “warmer atmospheric conditions may act to reduce the likelihood of hurricane landfalls along the Atlantic Coast due to stronger atmospheric winds blowing west to east during hurricane season, effectively pushing storms away from the U.S.”. For most of the past two decades, risk models have relied on actual hurricane activity recorded over more than 100 years to produce averages and other estimates of storm formation. But even before Katrina, RMS was under pressure to disband the long-term outlook. Insurance insiders wanted something they believed would be more accurate. And they wanted it to forecast hurricane activity for next few years based on current conditions, not simply assume history would repeat itself. The pressure came from several places. Some reinsurers sought validation that global warming was increasing the threat of hurricanes. Others in the industry wanted a short-term model to encourage investors, who wanted odds on their returns in the near term. RMS CEO Hemant] Shah says he had an obligation to pursue the short-term model because of the belief that hurricanes had gotten more dangerous. The overstatement of the connection between climate change and extreme events can sometimes just be a bit of political hyperbole intended to add intensity to support for climate policies. But such overstatement can also have consequences. In this well-documented case the overstatement resulted in the transfer of tens of billions of dollars from Florida citizens to reinsurance companies based on flawed estimates of hurricane risk. 3. As I understand it, rather than trying to control carbon emissions, you advocate an expansion of alternative energy sources to serve both economic demands and environmental needs. What policies and programs would you advocate in order to expand alternative energy sources? What level of funding in the U.S. would be needed to carry this forward? How would you recommend structuring this approach to obtain the broadest support from energy sectors and to minimize opposition from fossil fuel industries? Would this approach be adequate to slow the release of carbon emissions and reduce the inevitable changes that result from those releases? PIELKE RESPONSE: Thanks for this question. Just about everyone recognizes that developing the energy resources for the future will require innovation. The conventional view has been that putting a price on carbon – via a substantial tax or cap-and-trade program – would provide businesses and consumers with incentives to invest more in energy innovation. However, the fatal flaw in this perspective is that efforts to raise the costs of energy have their political limits, such as observed in Europe just this week, as the EU has stepped back from aggressive and costly energy policies in order to shore up the continent’s competitiveness. I, along with many colleagues, have argued that instead of focusing primarily on making dirty energy expensive, we should focus to a greater degree on making clean energy cheap. A greater commitment to public sector innovation might be supported with a low carbon tax (How low? At whatever level is politically acceptable). Consider that a $5 per ton tax on carbon dioxide would add about $0.04 to the price of a gallon of gas and raise about $30 billion per year in the US (Pielke 2010). To put this into context, the Department of Energy will spend $2.4 billion on energy R&D programs in FY 2014. As the United States has learned from its experiences with shale gas and shale oil, innovation which leads to lower priced energy costs confer substantial economic and competitiveness benefits. Such innovation requires partnerships of the public and private sectors, and often a very long lead time – the key innovations underpinning shale gas and oil technologies were decades in the making. The world will continue to demand more and more energy. Whatever one thinks about climate change it is in the interests of the United States to be at the forefront of energy innovation for decades to come. We should think hard about how we might bring greater resources to meeting the challenges and opportunities posed by energy demands of a growing world. Building a bridge to that energy future by placing a small tax or fee on today’s energy makes good sense. These ideas are discussed in greater depth in The Hartwell Paper and elsewhere. 4. In your “Truth in Testimony” statement, you acknowledge receiving more than $12.7 million in grant support from NSF—all but $39,435 of that came from social and behavioral/economic accounts. What projects and publications resulted from this funding? 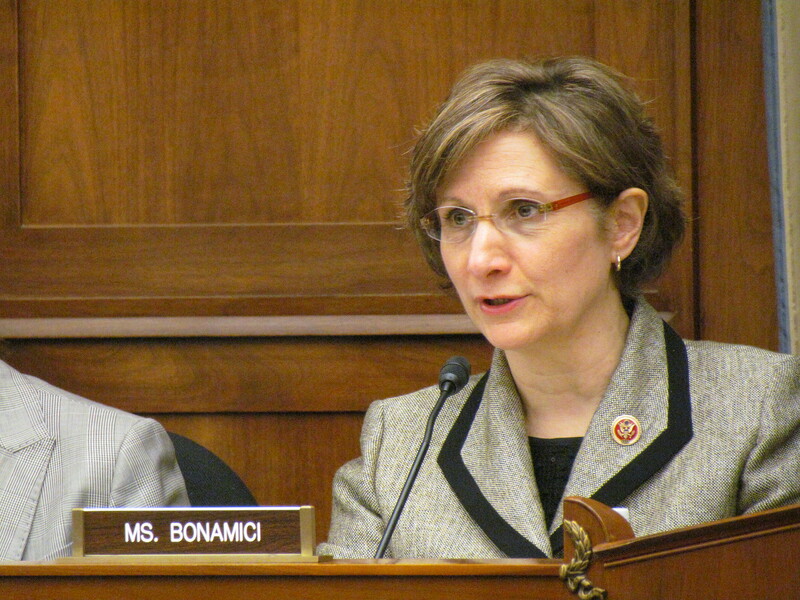 Did any of that funding contribute to work that you testified about in this hearing? PIELKE RESPONSE: The total reported in the “Truth in Testimony” statement is actually $2.8 million. Most of that funding supported a project called “Science Policy Assessment and Research on Climate” (SPARC) which was funded under the NSF competition on Decision Making Under Uncertainty (the other two listed projects were science policy-related and did not focus in any way on climate). SPARC “conducts research and assessments, outreach, and education aimed at helping climate science policies better support climate-related decision making in the face of fundamental and often irreducible uncertainties.” That project, now completed, resulted in hundreds of publications, several of which were cited in my testimony. A comprehensive account of that project and the work which it did can be found at: http://cstpr.colorado.edu/sparc/.